If you happened to have read our retirement investing strategy post for this year, then you already know we have set some lofty goals. For example, we are contributing $6,000 to my pension, planning to add another $5,500 to a spousal Roth IRA, and another $5,300 to my Roth IRA. All of that is in addition to the $10,000 of pre-tax dollars we plan to invest in my 457b plan setup through my employer. Then there are the funds we hope to continue pumping into our taxable dividend portfolio. Setting these goals is important for our future. But that is the easy work. Finding the money and planning how to fund these accounts is the hard part. While I make a good income that supports our family of 5, there are only so many dollars to go around. So paying our normal expenses and hitting those investment targets will take some creativity and a little bit of hustle. Another way to find more dollars to invest is to take advantage of unexpected increases to our income and by finding areas to cut our spending. One way we are cutting our spending starting next month … is by lowering the cost of our monthly cell phone bill. After this month (February) … our total monthly cell phone bill will drop by $75. Actually, our bill will drop by $74.84 … but I wanted to round up for a nice clean number. I have been waiting for about a year for this day … when our cell phone bill would be cut by over 30%. A few years back we signed up for a 2-year contract with a cell phone provider, where we got 4 new phones. We rolled the cost of the 4 phones into the next 24 monthly payments. The phones are now completely paid off and our 2-year contract is over. As a result, our monthly bill dropped from $218.16 down to $143.32 for 4 phones starting in March. In addition, about 6 months ago we were able to lower our monthly bill by another $15 because of an employee discount I got from my job. So compared to March of last year, our cell phone will be $90 cheaper starting next month. Our annual savings for our new monthly amount will total $1,080 per year … including the $15 employee discount. . When we cut our cell phone bill last year by $15 a month, we didn’t go out and spend that money. Instead, we automated the savings and started sending those dollars to a special checking account we had setup. We decided to pay ourselves first with these savings and automated the process of putting that $15 away every month. Now we can do the same with another $75 per month. Even though our expenses have dropped … it doesn’t mean we need to spend those dollars on something else. We didn’t need that $75 last month to survive, so we won’t need it next month either. As a result, we will now be updating our automated process to send $90 per month ($15 + $75) to our special checking account instead of the $15 we had been sending. This is a simple opportunity to save more of our monthly paycheck and put those dollars back to work for us earning more income. Can We Save Any More? I am sure some of you are probably saying – “… but you can still save even more on your cell phone bill …”. Yes, we probably could save more money long-term by switching to Project Fi or Republic Wireless. I know a family member that has a Republic Wireless account and pays under $15 a month for service. For 4 phones … that would be about a $60 monthly payment … much cheaper than the $140+ we are now going to pay. But the biggest holdup for me right now is buying 4 new phones. After recently paying off the 4 phones we have now (that are all working just fine) … I don’t want to buy a new phone for one of those other plans … let alone 4 phones. Plus we would have to buy 4 new protective cases for each phone. So for now, we are sticking with our current plan … but are looking for a future opportunity to switch. Reducing a monthly expense by $90 is awesome … especially for cell phones. And while that may not seem like a ton of money … it will add up to $1,080 in annual savings. Those dollars saved will be automatically transferred into our checking account … with absolutely no change to our monthly spending. It is like we won’t ever know (or be tempted) that extra money is there. What’s even better is those funds will eventually be used to invest … probably in one of our Roth IRA accounts. That $1,000+ in savings will cover almost 20% of the maximum allowed investment limit in my wife’s Roth IRA. We plan to continue this strategy later in December … when one of our automobile loans will be fully paid off. Currently, we are adding extra dollars each month to pay off the principal faster on this loan … for a total payment amount of $500 per month. Guess what? Starting next January, we hope to use that extra $500 every month that was going to pay off our loan to invest. This follows the same strategy of keeping our spending the same … even when we get pay increases or cut our spending. One final example of this strategy is when I recently got an increase in pay. Based on new tax law changes, I am getting an extra $100 per month in post-tax dollars coming in our check. Without blinking an eye or noticing that money was there … I immediately bumped my 457b deductions up by $100 per month. 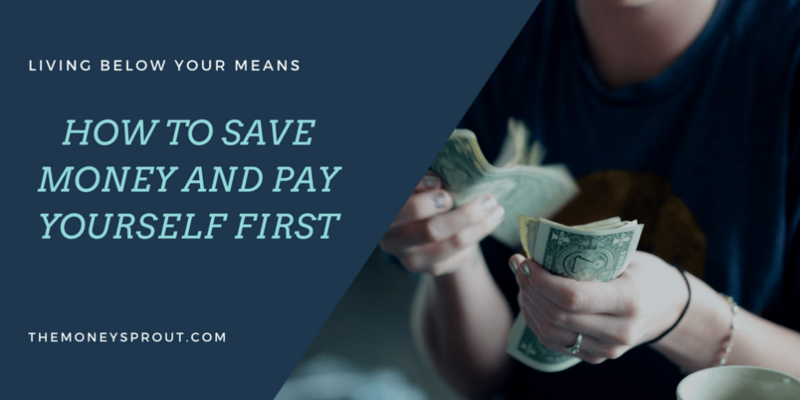 Continuing to pay ourselves first will help us invest more and grow our wealth on the path to FI. 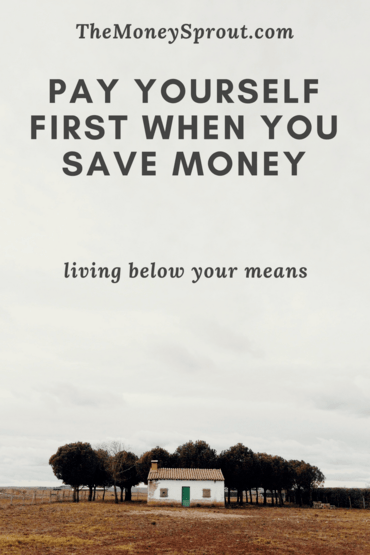 What examples can you provide of paying yourself first when you save money or get an increase in pay?